Accessible and essential coverage of today's challenging, speculative, cutting-edge science from Quanta Magazine. These stories reveal the latest efforts to untangle the mysteries of the universe. 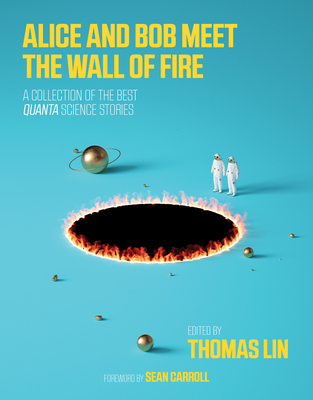 Bringing together the best and most interesting science stories appearing in Quanta Magazine over the past five years, Alice and Bob Meet the Wall of Fire reports on some of the greatest scientific minds as they test the limits of human knowledge. Quanta, under editor-in-chief Thomas Lin, is the only popular publication that offers in-depth coverage of today's challenging, speculative, cutting-edge science. It communicates science by taking it seriously, wrestling with difficult concepts and clearly explaining them in a way that speaks to our innate curiosity about our world and ourselves. In the title story, Alice and Bob--beloved characters of various thought experiments in physics--grapple with gravitational forces, possible spaghettification, and a massive wall of fire as Alice jumps into a black hole. Another story considers whether the universe is impossible, in light of experimental results at the Large Hadron Collider. We learn about quantum reality and the mystery of quantum entanglement; explore the source of time's arrow; and witness a eureka moment when a quantum physicist exclaims: "Finally, we can understand why a cup of coffee equilibrates in a room." We reflect on humans' enormous skulls and the Brain Boom; consider the evolutionary benefits of loneliness; peel back the layers of the newest artificial-intelligence algorithms; follow the "battle for the heart and soul of physics"; and mourn the disappearance of the "diphoton bump," revealed to be a statistical fluctuation rather than a revolutionary new particle. These stories from Quanta give us a front-row seat to scientific discovery.